RI Waterfront Events presents the 2015 Providence Waterfront Events Series. 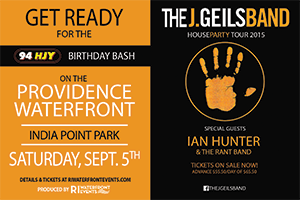 On Saturday, September 5 Providence will welcome The J. Geils Band to India Point Park. This concert is a ticketed event starting at $55 online and $65 the day of, and there is no reserved seating. The earlier you come, the better the seat! On Sunday, September 6 at India Point Park, the first International Latino Music Festival will welcome nine artists to the RI Waterfront Events stage. Tickets are $20 in advance and $30 at the gate, children under 12 get in free with a paying adult. A VIP Dockside Experience is being offered at $50 a ticket, with very limited quantities. Gates open at 1 p.m. with music starting at 1:30 p.m. and continuing until 8 p.m. The 23rd Annual International Oktoberfest is celebrating a new home this year in Providence and is being considered the official sendoff to summer. 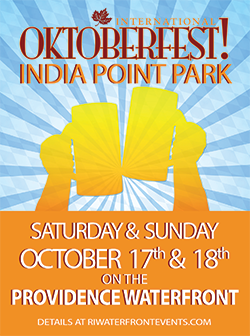 Come celebrate Oktoberfest&apos;s new home at India Point Park on Saturday, October 17 and Sunday, October 18. Tickets on Saturday are $20 in advance and $25 at the gate. Sunday is $17 in advance and $20 at the gate. Weekend long passes are available for $30 in advance or $40 at the gate on Saturday. This is a 21+ event and photo ID will be required for entry. A special Prost Pass is available for $85 in advance with very limited quantities. 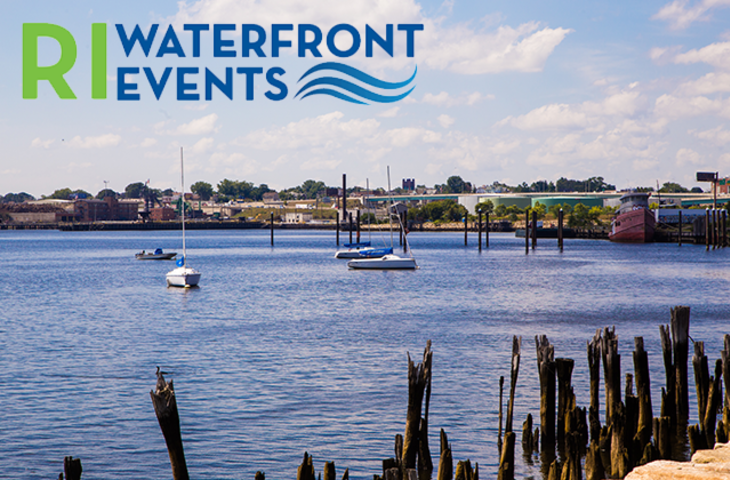 For more information about the 2015 Providence Waterfront Event Series click here.